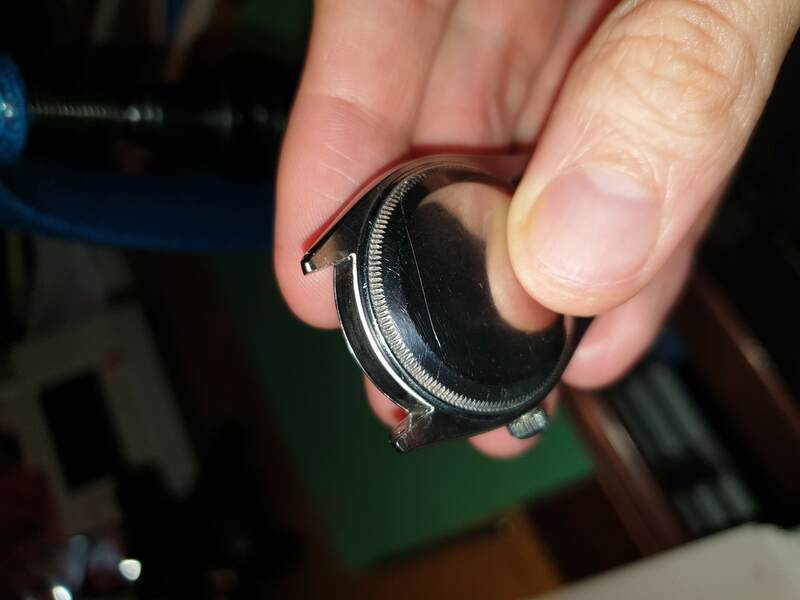 Thread: L-G 'Openall' caseback opener... anyone tried this thing? I recently aquired this thing from Cousins as a 'cheap' way to open the casebacks of Rolex wristwatches... has anyone else tried using it? I may well be completely stupid, but i can't find a way of wedging my case in the 'holder' (such as it is) firmly and completely level. or indeed even loosely at even a roughly even level. they sell a 'case holder' separately but Cousins don't supply it, so i get the feeling it's not required... so what am i missing? 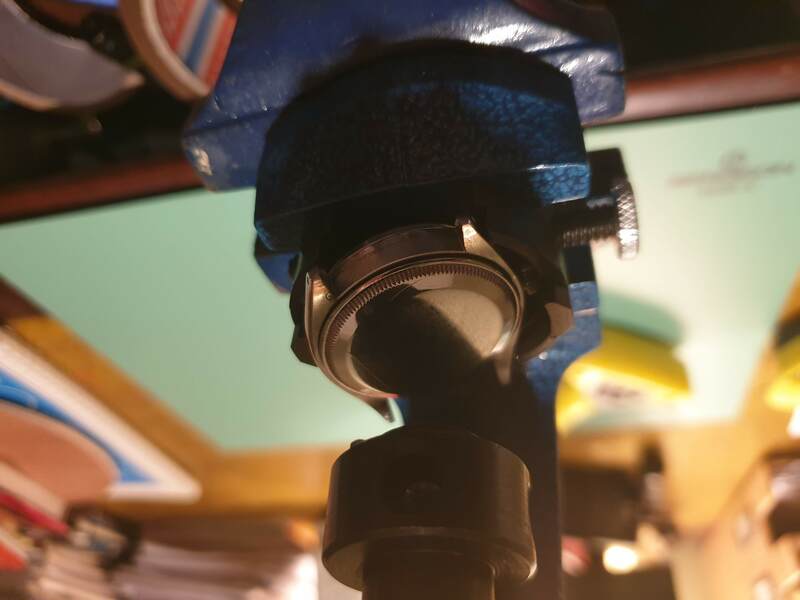 i imagine i need to have the thing at exactly 180˚, otherwise the teeth on the die won't engage with the grooves on the caseback, and i'll be in whole heap of mess. and i have no idea how to acheive that with the holder that's supplied. I dont want to sound condescending but of course you need the case holder, without it you will be in all sorts of trouble. Also, why do you want to open up your Rolex? but what's the case holder that comes with it for? and good question.. i have a 1601 with a poorly-erased engraving on the back, which i'd like to swap out for a 'clean' one. i also rather fancy swapping out a few for sapphire casebacks. I would have thought that you need to rotate the watch 90° from where it is in your picture...such that the raised lugs on the holder are between those on the watch. Apparently you should be using a cloth to protect the watch...see pdf instructions. Last edited by PickleB; 14th April 2019 at 22:16.
thank you - i tried that, but it was even less sturdy. it just kept popping out. perhaps the shaft should be lowered to hold it in place.. will have another fiddle. 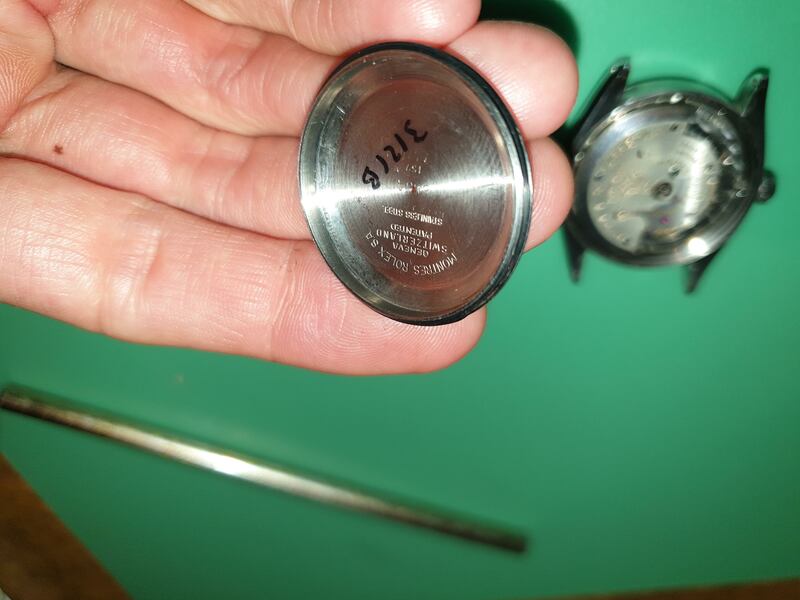 the separate caseback holder looks to be the real solution..but can't find it anywhere. Have a look at the video in my edit? Hmmm, that is interesting. will fiddle tomorrow. thank you. That was just the ticket! Off it comes. Nice and easy. Thank you for the video. i) how do i avoid the dreaded 'cross threading' when screwing it back on? I can only help you with the first of your two questions. To avoid cross-threading, start off by hand and turn the back the wrong way. As it goes around you should feel it going slightly wonky and then click (sort of) back level. That 'click' is when the starts of the threads pass each other. Go around again to check. Then, just after the 'click' (maybe clunk) swap the direction of turn and the threads should engage nicely. Continue turning by hand to check that there is no undue resistance. Having done it the first time, take it off again and have another go before turning it down as far as you can by hand, fingers and pressure from your palm etc before using the tool to tighten it up. I’m seeing a lot of unnecessary metal touching metal in this thread. For the gasket lube it so that it doesn’t catch, deform or even get shredded as you tighten down. Also with me not being an expert I always mark where the case back was before opening, that way I can achieve the same tightness? Having said this I’ve only ever done this to some of my cheap Seiko watches. I use a grease pad to lube the gasket before putting it all back together. Helps it slip in better as you put that caseback on, preventing snagging. Be careful though... you could leave a greasy mess if you don't take it easy. Have you downloaded the pdf (link) from that Cousins page? It matches Rolex case numbers (link) with the Rolex part numbers quoted against the generic gaskets that they are selling. That’s relying on identical gaskets (aged even), not sure if always the case. i know precisely what you mean, and it always worries me too. but what are the alternatives? if the caseback needs to come off, it needs to come off! this is a good point: how to know how far to tighten? your suggestion to tighten as much as it was previously is probably a good starting point, but how is one meant to gauge precisely how tight it should be? that's an extremeley good shout, thank you. ....although the ref 6564 i am working on here isn't listed, which is a bit irritating. i guess i could gamble on it being a 29-292-76 which seem to fit the typical 1500, 5500, 1004, 6694-type 34mm cases, and hope for the best. thank you vm in any case.